Cassandra database is NoSQL database that manage and handle the big data workload. Cassandra store data in multiple nodes with no single point of failure. Cassandra has peer-to-peer distributed system across its nodes, and data is distributed among all the nodes in a cluster. All the nodes exchange information with each other using Gossip protocol. Gossip is a protocol in Cassandra by which nodes can communicate with each other. There are following components in the Cassandra. Node :- It is the region or place where data is stored. It is the initial component of Cassandra. Data Center:- Data center is the collection of nodes. 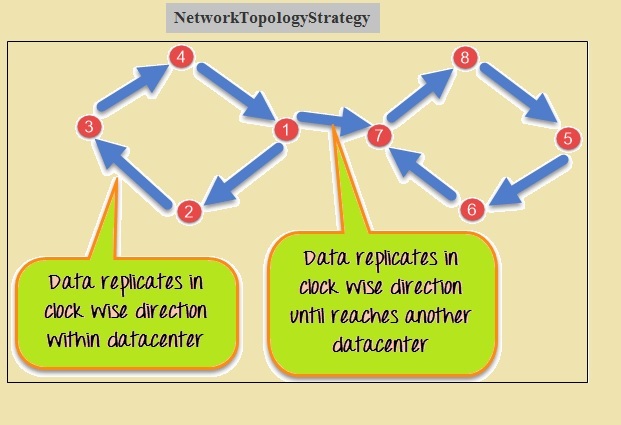 Data can be written to multiple datacenters depending on the replication factor. However, datacenters should never span physical locations.. Cluster:- The cluster is the collection of many data centers. 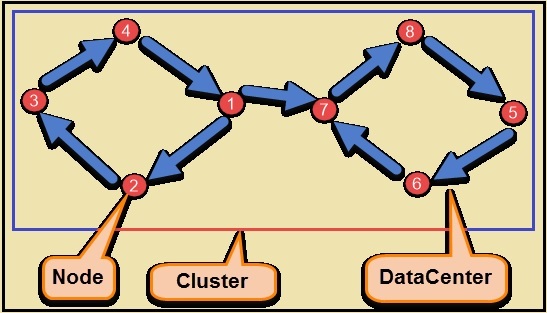 A cluster contains one or more datacenters. Commit Log:- All write operation is written to Commit Log, after all its data has been flushed to SSTables that can be archived, deleted, or recycled. SSTable:- SSTable (sorted string table) is data file and stored on disk sequentially and maintained for each Cassandra table. Cassandra Keyspace:- A keyspace is a container for data. 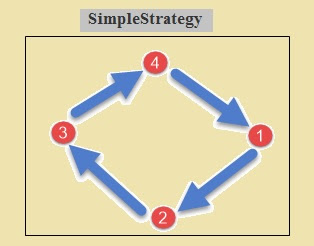 When you are defining a keyspace, you need to specify a replication strategy and a replication factor i.e. the number of nodes that the data must be replicate too. Row Key:- A row key is also known as the partition key and has a number of columns associated with it.